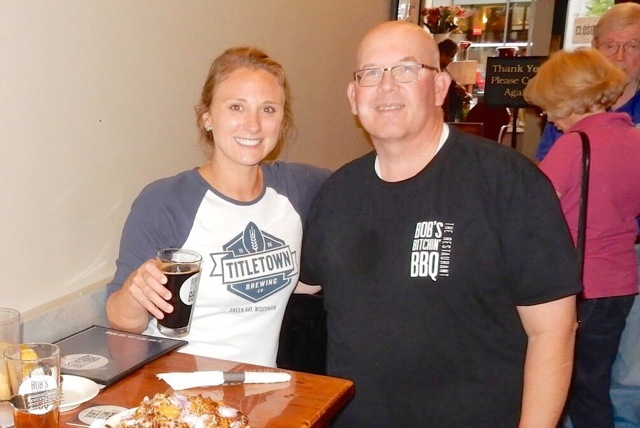 Thank you to everyone who came out for our Sconnie Tap Takeover on Thursday, August 27, featuring Titletown Brewing from Green Bay. 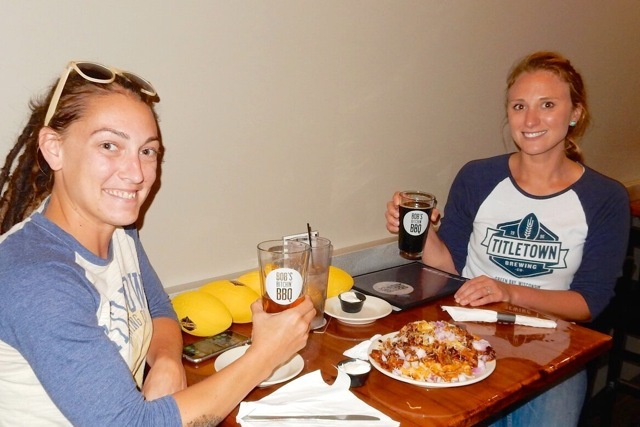 A special thank you to Krystina and Heather, Titletown's beer ambassadors who made the trip down. We still have all six beers on tap, while supplies last. Even though Aaron Rodgers did not attend our 4th Tap Takeover featuring Titletown Brewing Company, we still had a great time sampling great craft beer from Green Bay. The catchy names and unique flavors made for an interesting evening. The most sought after beer was their IPA, Green 19. I'll smile when I hear Aaron shouting "Green 19" on game days! Great job Titletown Brewing Company, and "Go Pack Go"!